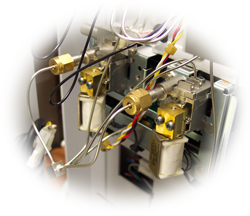 Envantage, Inc. has a well stocked inventory of parts and supplies and will refurbish your instruments (see Analytical Instrument Repair Services). We also refurbish and offer a limited number of instruments for sale. All analytical instruments are put through comprehensive diagnostic and check-out procedures. Analytical instruments offered for sale can often be customized to meet your needs. For example, instrument components such as inlets and detectors can be exchanged or added to an existing instrument. 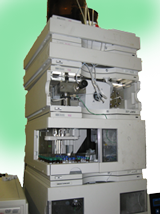 We can customize any analytical instrument to your specifications. In addition to Refurbished Analytical Instruments we also sell new and used laboratory equipment and tools. If you are looking for a dependable used piece of equipment or partial builds for use as parts you can be sure you are getting an honest evaluation and a good price at Envantage. Check back here occasionally to see what we have listed. Also, feel free to contact us if you are in need of a refurbished instrument. We will let you know if we have one in the pipeline! HP 1100 HPLC System including, G1311A Quaternary Pump, G1314A UV/Vis Detector, G1313A Autosampler, G1322A Vacuum Degasser, Solvent Module, HP Chemstation and License with Computer System, HPIB Cables and Manuals.